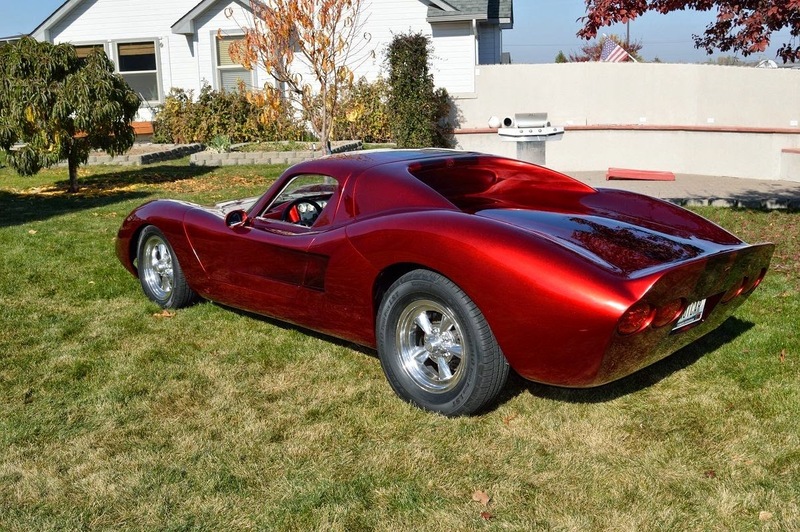 The Aztec II is a model of kit car sold by Fiberfab, a small kit manufacturer founded in 1964 by Warren "Bud" Goodwin that according to its website is still in business. Unfortunately the website was last updated in 2012 with some note about an upcoming 2013 model...so much for the Fiberfab revival. Anyway, if you want a fiberglass kit based on a VW chassis or Triumph TR4 you'll need to scour the web for a used Fiberfab...like this 1969 Fiberfab Aztec II currently bidding for $15,150 reserve-not-met in Nampa, ID via ebay with 1 day to go. 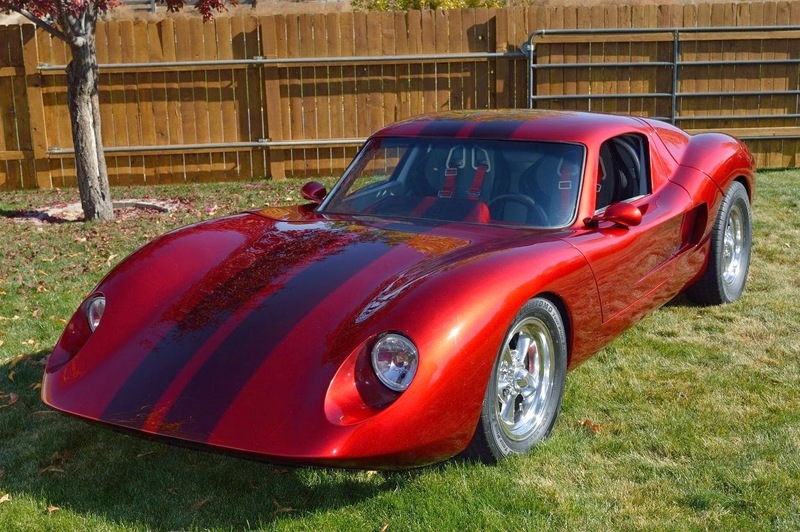 This Aztec II is about as nice of an example of the Fiberfab kit car as you'll find around the web, shiny paint, big wheels and a massive surprise under the hood. 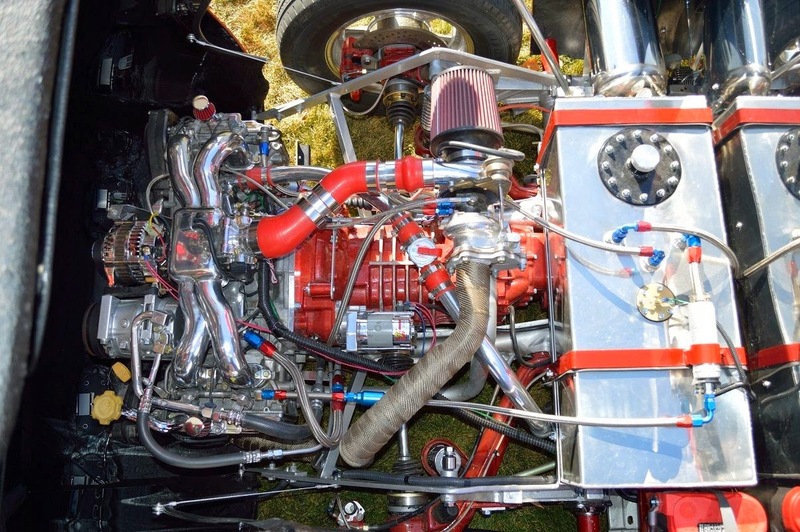 Where you would normally find an aircooled Volkswagen flat four is a Subaru 2.2 liter turbocharged engine complete with all manner of chrome pipes and anodized fittings. There must be at least $1000 in Earl's Performance fittings before you get to the silicone tubes. With 220 horsepower and something in the 2000 lb range this car should perform well. The Aztec uses a tubular backbone frame with bolted on composite body parts, so as typified by most kit cars the interior is fairly simple. 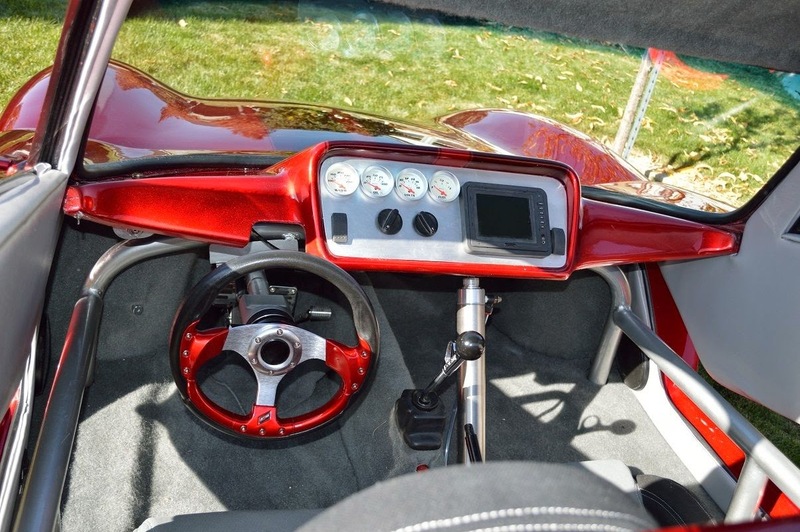 The gauges are setup for left or right hand drive and many of the parts are what you (as the builder) make of it. Best looking Aztec I've ever seen! A video of the car running/driving would really help their bids. Loved the detail shown in this build (no way to show/access radiator?) and applauded the electric windows and A/C...until I read that part about the A/C being all hooked up but never charged with freon. With all of the other major details that needed to be worked through on a project like this, leaving out such an easy item like freon, makes me question the credibility of the seller and the integrity of build. Yeah, I guess being the best Aztec is kinda like winning the best Modified Yugo or Trabant at a car show. Thanks for snapping me back to reality. I was taken in by the chrome/turbo/braided lines and fittings.